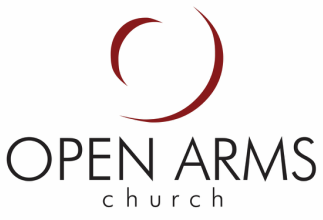 Nearly 50% of today's Open Arms family never understood how to have a relationship with Christ before they got here. We want our whole community to know His love, grace, and peace. We often hear television evangelists exhort the crowd to “Turn to Jesus.” Billboards tell us to “Try Jesus.” Bumper stickers inform other drivers “My boss is a Jewish carpenter.” Some churches close out a service by inviting those in attendance to walk down the aisle and “ask Jesus into their heart.” At Open Arms, while we understand these may be legitimate ways to raise awareness that the person and work of Jesus demands a personal response, we are convinced that our family, friends, co-workers, neighbors, and Sunday service guests are often asking internal “But why?” questions, and they ought to have answers. We are called Christ’s ambassadors, and an ambassador’s main job is to share clearly, calmly, and consistently the contents of the treaty offered by their king or leader, the one whom they represent and who established the treaty in the first place. As Paul explains in his letter to the Corinthians, “Anyone who belongs to Christ has become a new person. The old life is gone; a new life has begun! And all of this is a gift from God, who brought us back to Himself through Christ. And God has given us this task of reconciling people to Him. For God was in Christ, reconciling the world to Himself, no longer counting people’s sins against them. And He gave us this wonderful message of reconciliation. So we are Christ’s ambassadors; God is making His appeal through us. We speak for Christ when we plead: 'Come back to God!' For God made Christ, who never sinned, to be the offering for our sin so that we could be made right with God through Christ.” (2 Corinthians 5:17-21 NLT). Serving as an ambassador on Christ’s behalf is a serious matter for sure, but it shouldn’t be carried out with harshness, manipulation, or the expectation that the nuances of the treaty are understood. The majority of people that make up Open Arms Church today are people who may have heard the name “Jesus” growing up but were otherwise ignorant of the “mystery of Christ.” The “mystery” is the very personal plan of God’s love, grace, and mercy extended toward us by Jesus’ substitutionary death on the cross. That intentional work of the Father, Son, and Holy Spirit provides redemption, pardon, and forgiveness for the sin of mankind, yet is experienced only by those who receive Christ by faith and believe personally in Him.